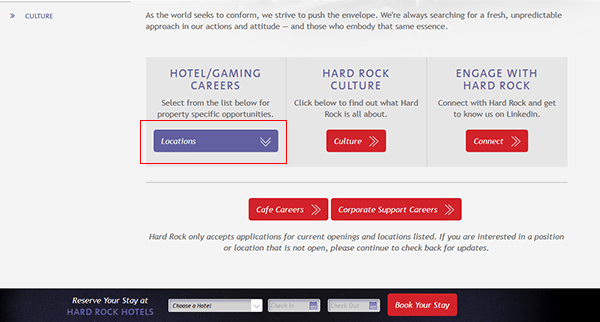 The guide on this page (posted in the section below) can be used as a reference when searching for jobs on the company’s website and filling out/submitting the Hard Rock Hotel job application. Numerous types of careers can be searched/applied for on the company’s jobs site including hotel/operations, management, nightlife, food services, hospitality, and finance positions. Learn more about the company’s online hiring process in the below section. About the Company: Hard Rock Hotel is an American chain of hotels/resorts based out of Orlando, Florida. The brand is owned/operated by Hard Rock. Hard Rock Hotels/Resorts can be found throughout the world in a wide range of countries. Note: You can also press the button/link at the top of this page to load the jobs site in this current tab/window. 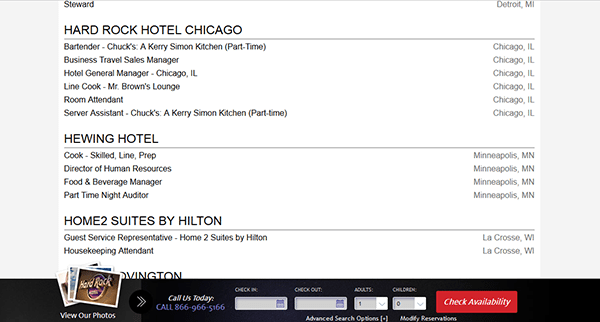 Step 2 – Scroll down the page and then click the “Locations” link/button/menu item as outlined below. 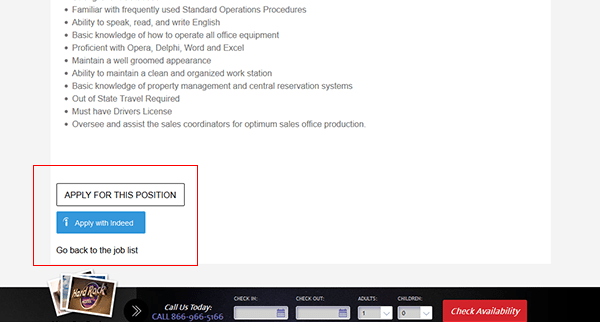 Step 3 – Select the location that you’re interested in working at from the list of options. Step 4 – You will be transferred to that location’s specific jobs site. Scroll down the page and click the link of the position that you want to submit an online application for. Note: At this point in the process each location may have a separate online hiring process. The below instructions are only an example of what the actual application process may be. 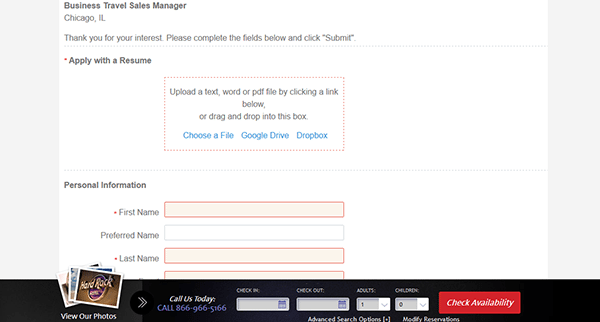 Step 5 – Read the entire job description and then click one of the buttons as outlined in the below image to go to the next step of the process.